The client: CityJet is an independent, Dublin-based airline and the largest operator out of London City Airport, carrying nearly 210,000 passengers a month (2.5 million a year). Clients are primarily business or premium leisure travellers, predominantly male. 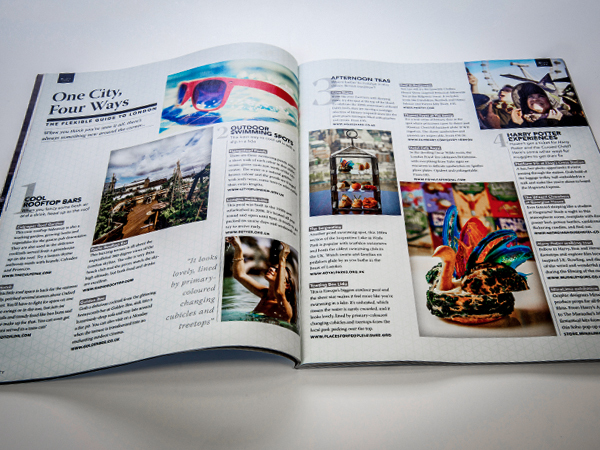 The brief: Velocity magazine is published monthly and placed in every seat-back on all CityJet aircraft and routes. It speaks with authority to an educated audience of frequent travellers, offering valuable insight and a sense of discovery with a knowing smile. 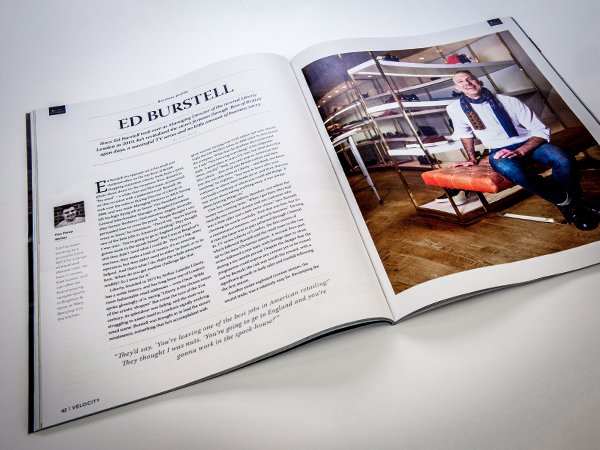 The magazine: A unique ‘journal’ format that lives where magazine and book meet, Velocity’s 84 pages are in a high-luxe perfect-bound print format, to be found online at www.cityjet.com, and in digital form to download in both mobile and tablet formats. The result: Research data reveals Velocity is valued for its lifestyle themes viewed through the prism of international business, and as a source of inspiration for premium travellers. We share places, people and wider opportunities for a crisp and confident read. "The award-winning Velocity magazine perfectly and intelligently encapsulates CityJet in published form – a challenger brand, a focus on delivery and a high-level service for the business and premium leisure community. We are delighted with it in every way."